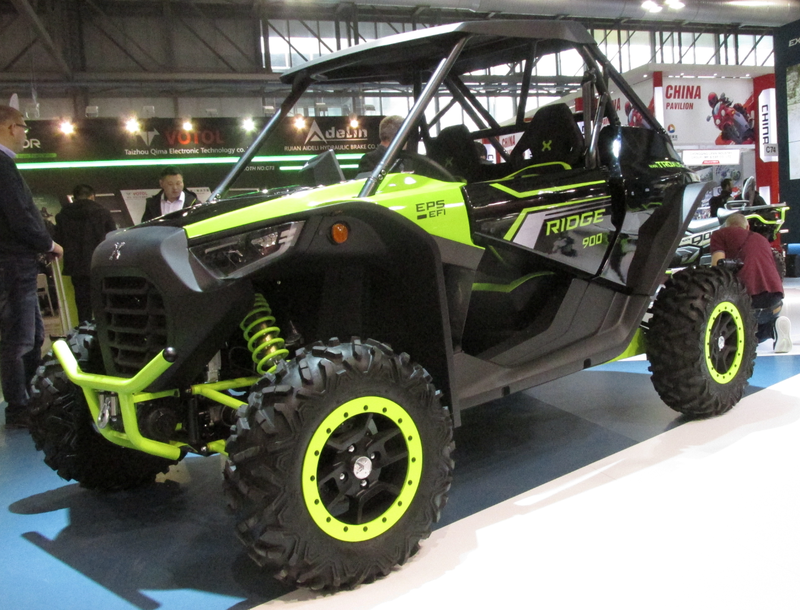 Troxus is an ATV and UTV manufacturer based in China. They have previously focussed their attention on the Asian and European market only, but that may soon change. It looks as though they’re planning on offering their machines to American riders as well. One could come to that conclusion based on the fact that they opened up an office in Torrance, California known as TROXUS USA. Therefore, it may be a good idea to start checking out the one UTV they have in their lineup. 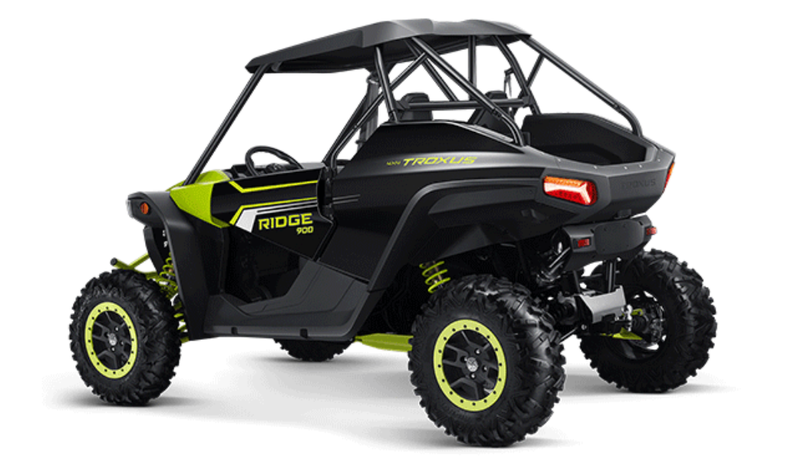 The Troxus Ridge 900 looks to be aimed at the buyer who enjoys the sportier side of off-road riding, but yet values utility function too. It was designed by the Troxus team along with help from the Austrian design firm known as Kiska. The 885cc engine is a V-twin with 8 valves and fuel-injection, rated at 75 horsepower. A CVT sends power to all four wheels. It has independent suspension front and rear with around 14 inches of wheel travel. 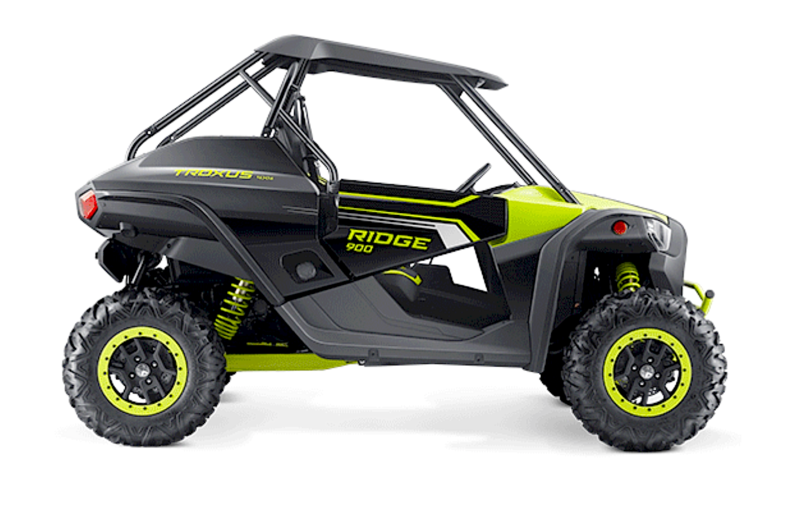 The Ridge 900 has a 88 inch wheelbase and weighs around 1,320 pounds. It comes with electric power steering, 14 inch beadlock wheels, reservoir shocks, adjustable seats and steering wheel. 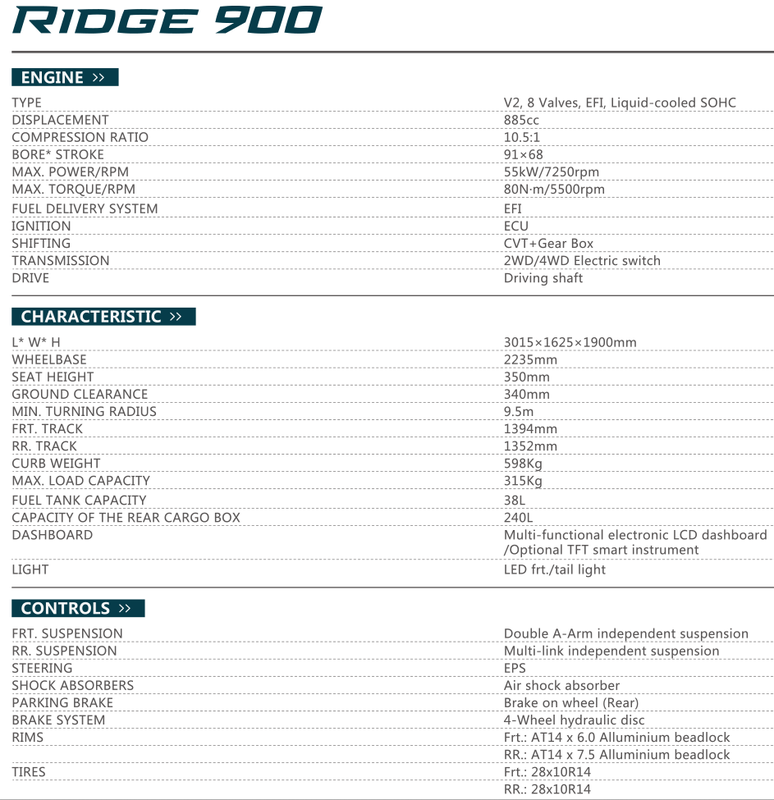 There is no indication as of yet what the Ridge 900’s price will be, but we suspect it will be similar to that of a CF Moto or Kymco. We’ll keep investigating this new company for more specific info, so keep checking back here with the Dirt Wheels crew.